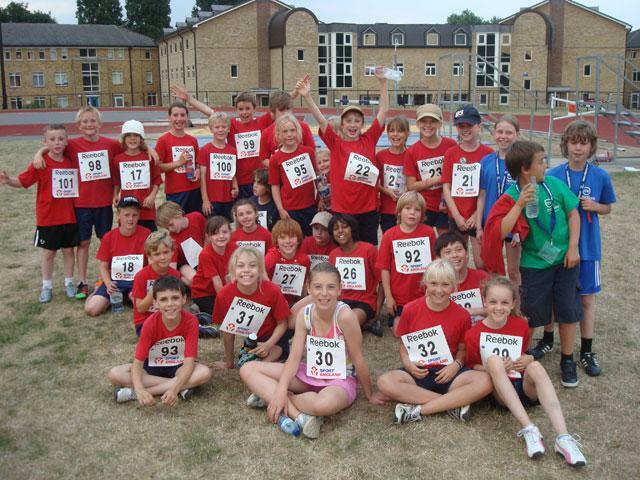 On Friday 25th June, children from Y3, 4, 5 and 6 participated in a Quadkids event, against 5 other Richmond Schools, organised by Motive8, on the St Mary’s running track. All the children had to complete a: sprint, long distance run, vortex throw and standing jump. We had some fantastic individual and team performances – the Year 5 team, beating Year 6 teams across the Borough, won the Quadkids competition in the Year 5 and 6 group! Also, the Year 4 team, came second in their Year 3 and 4 group. Brilliant!